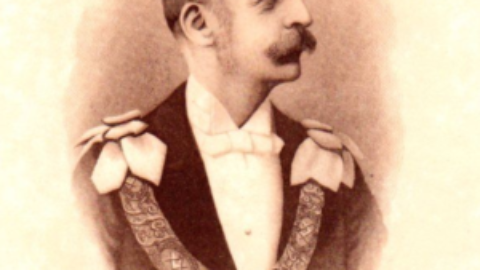 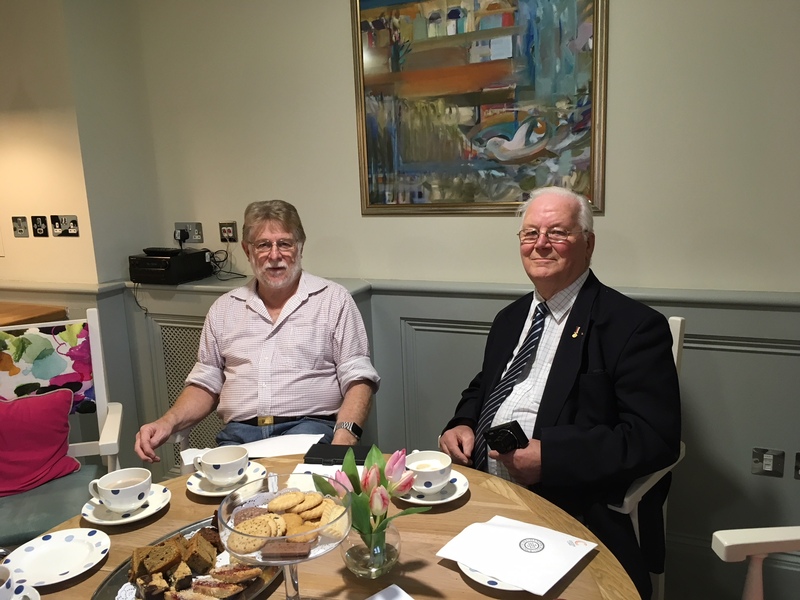 In October of 2017, we received an email from a brother Mason living on Hayling Island, near Portsmouth – W. Bro Don Bates PPGSwdB (Essex), PPGSN (Essex) and 32° (Rose Croix). 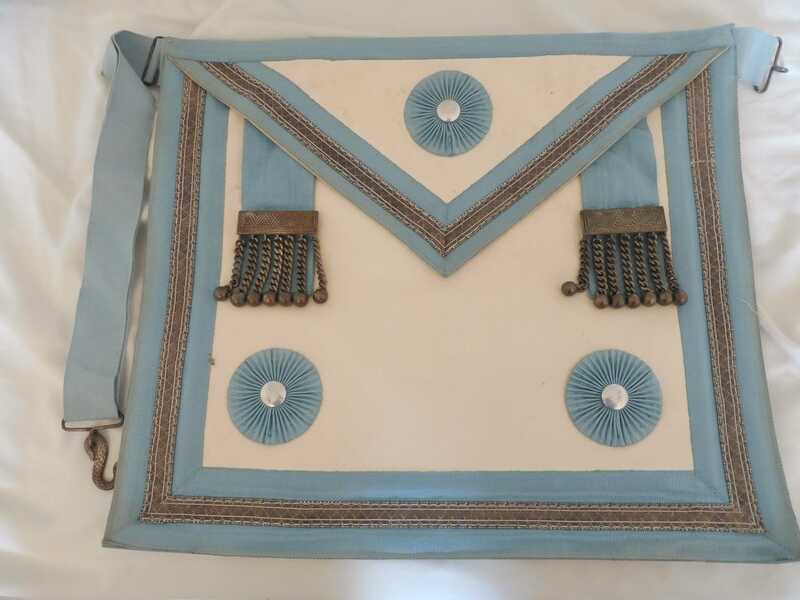 He had emailed a picture of an Irish Constitution apron that belonged to his neighbour Bro Arthur Parr, who was a member of Abercorn Lodge 273 in 1947-1949. 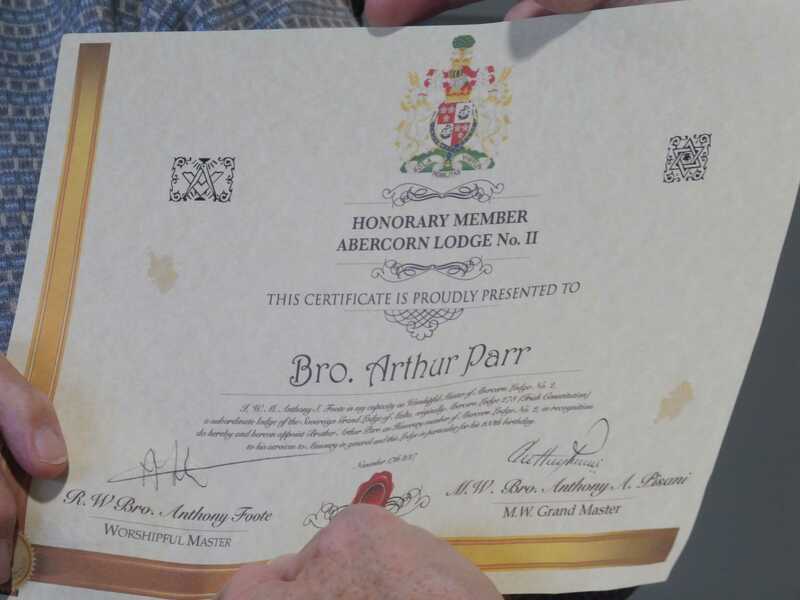 Arthur is 101 years old, born 2nd July 1917 and we at Abercorn Lodge, after contacting him and asking if he would like to be made an honorary member and after an affirmative message was received, immediately proposed in October and a month later voted for Bro Arthur to be admitted as one of our honorary members of Abercorn Lodge. 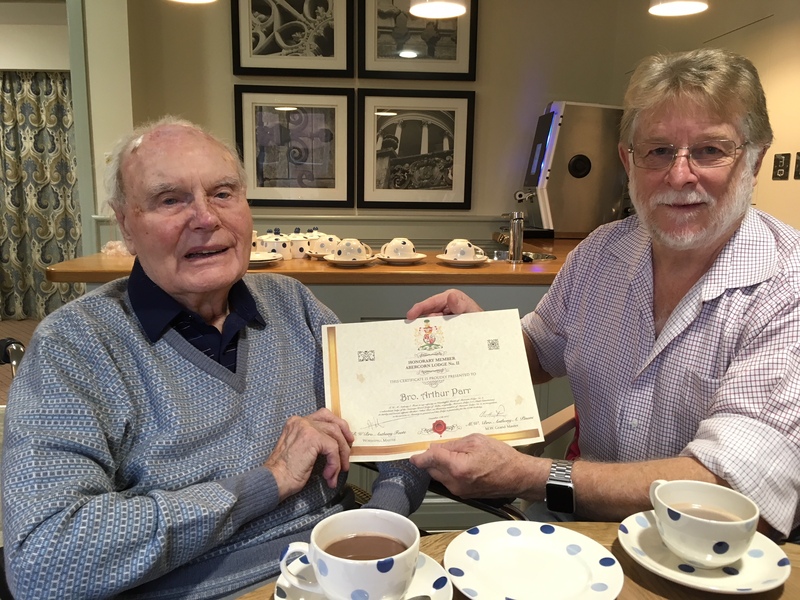 Our Worshipful Master of 2017, RW Bro Anthony Foote, travelled to Chichester to meet with Arthur in November and presented an honorary membership certificate. 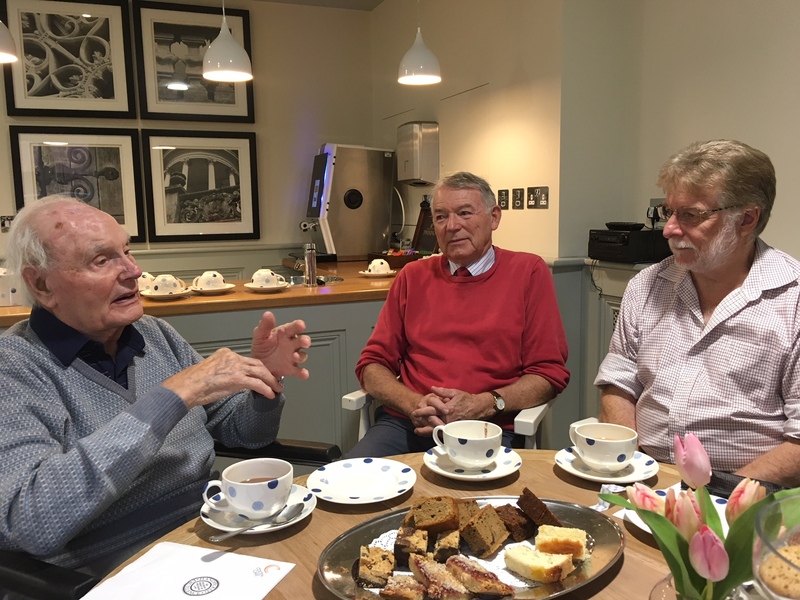 Afternoon tea was taken in the dining room of the Wellington Grange Care Home and stories were swapped about Masonry in Malta in the 1940’s and now on 2017. 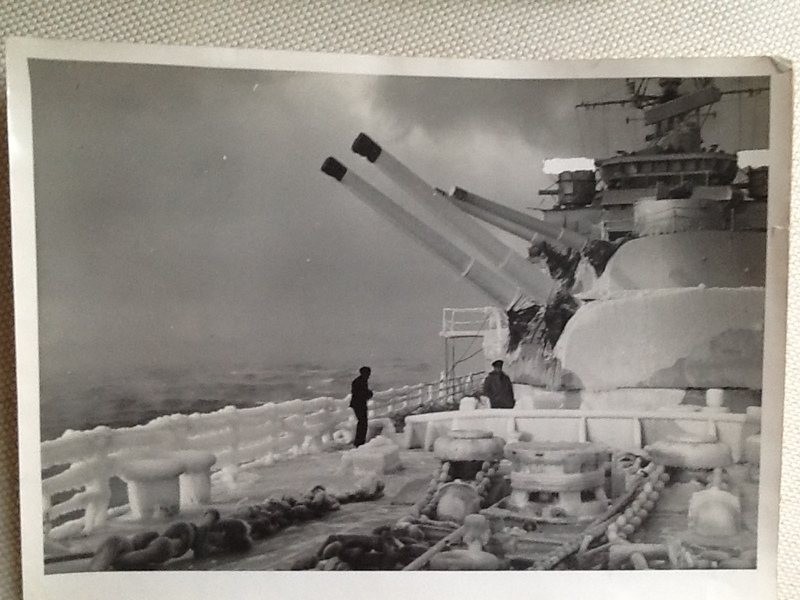 We were told of a long career in the navy with Arthur serving on the Murmansk runs to the Russian Arctic. 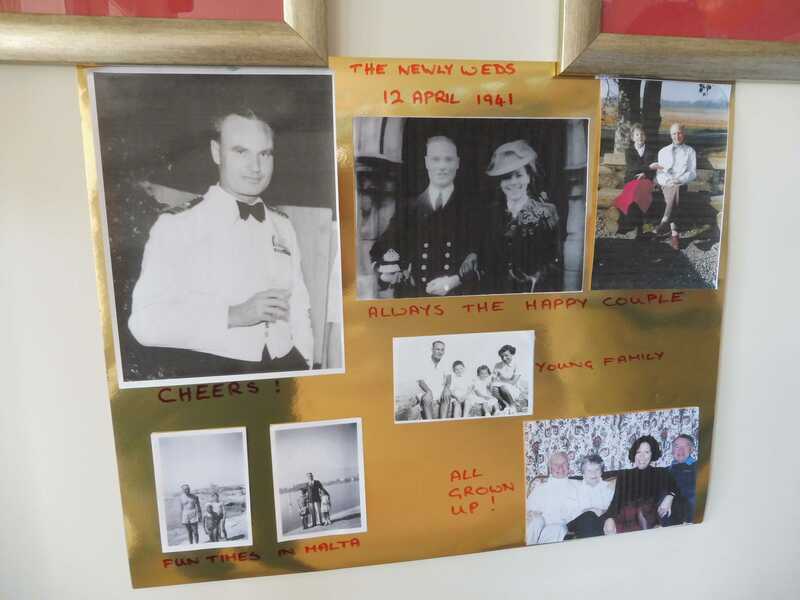 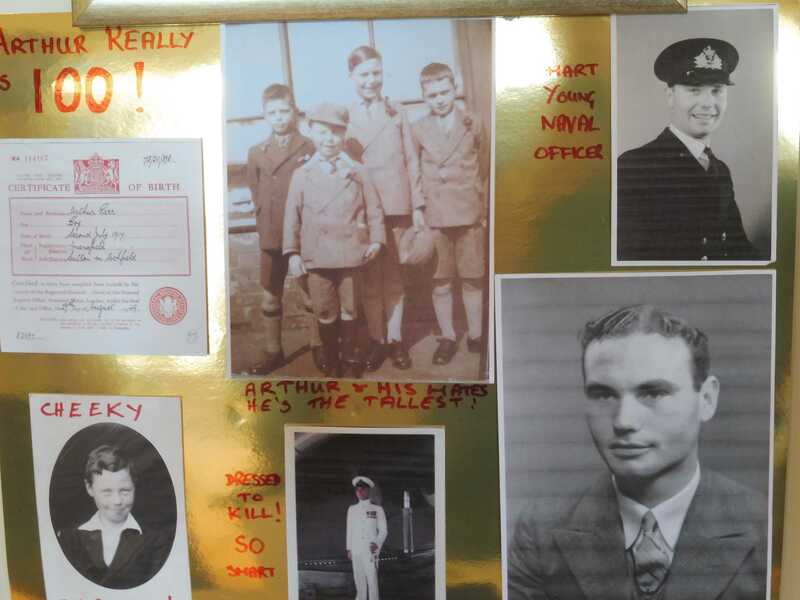 Arthur also served in Malta from 1947 to 1950 and was a brother in Abercorn Lodge 273 during that period. 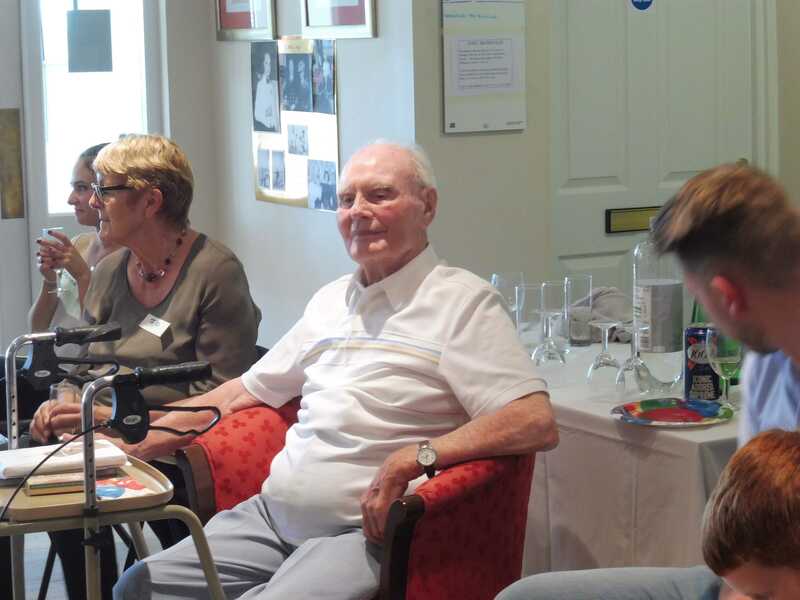 News was brought back to the lodge and the brethren were pleased to hear the news. 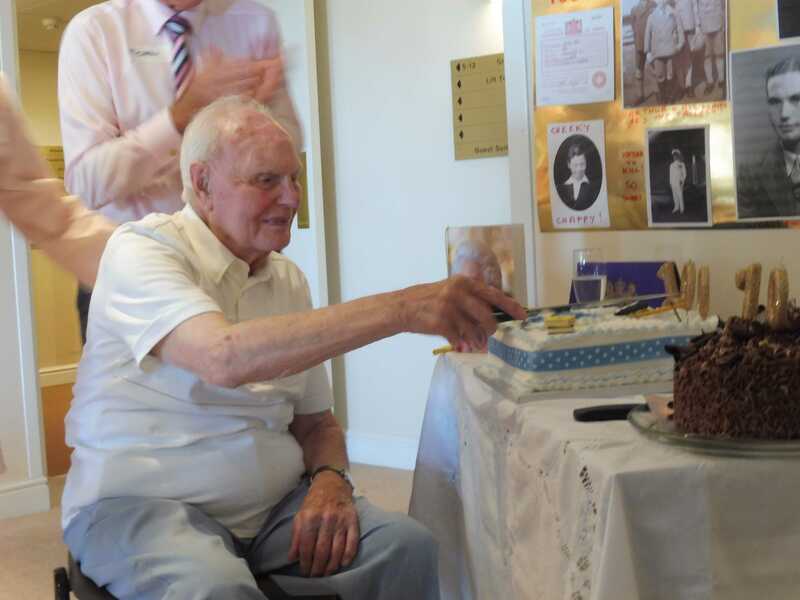 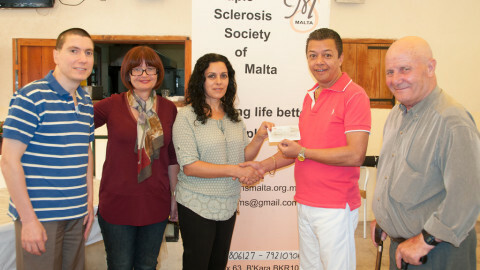 He is the oldest and longest serving member of the lodge and also the oldest member of the Sovereign Grand Lodge of Malta. 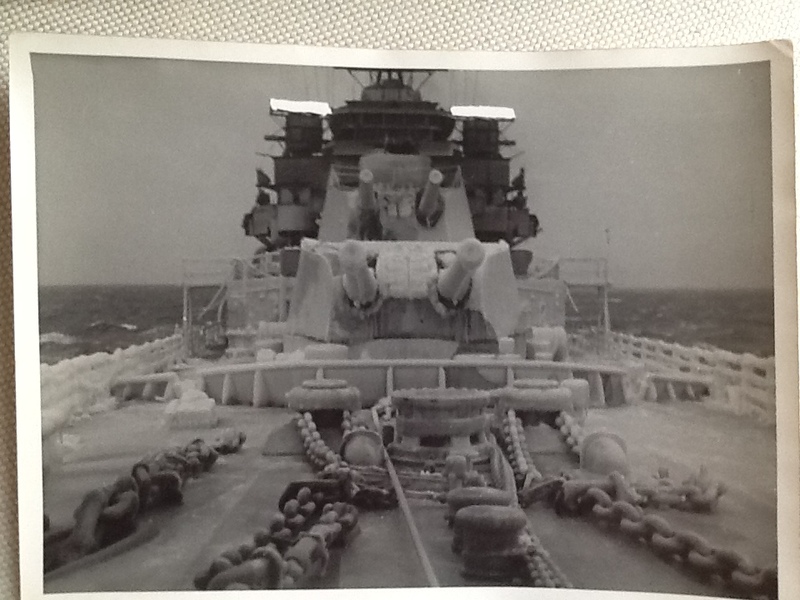 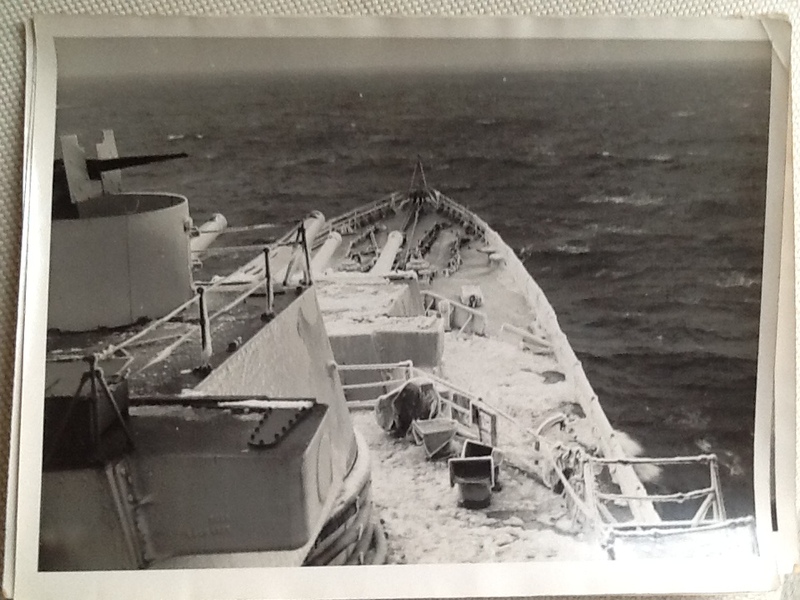 Below is a carousel of photos taken on the day of the meeting and also some photos of the Murmansk and Arkhangel convoys during the war, of which Arthur was a part. 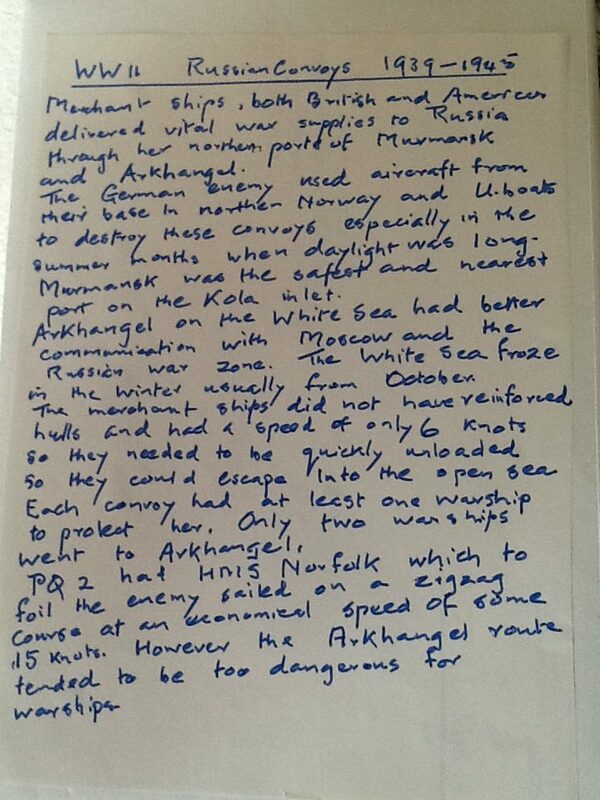 At the bottom of the page is a note Arthur wrote about a World War II Russian Convoy to Murmansk. 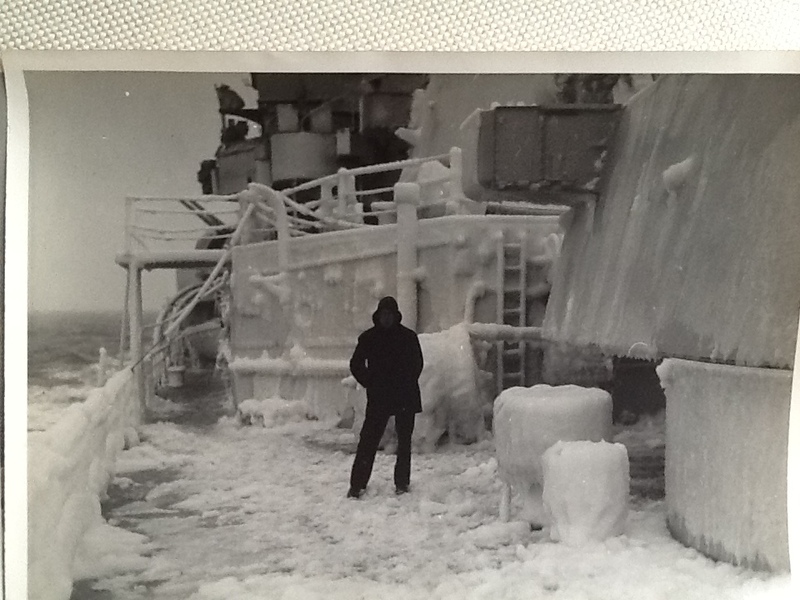 It was considered to be one of the coldest, most miserable and dangerous jobs in the war, re-supplying the Russians from the north.